Star Wars is a sticky wicket. It's one of the few things in life that seems to be hated exclusively by the people who claim to love it. That phenomenon first reared its head during the dark years of episodes I, II, and III, and came roaring back with a vengeance in 2017 with the release of Rian Johnson's The Last Jedi. Episode VIII broke a lot of new ground for the franchise. It introduced the series' first Asian lead. It gave Luke Skywalker his first speaking role in the mainstream series since 1983. Perhaps most importantly, it brought fans closer to watching Chewbacca eat a comic relief alien than they ever dreamed possible. Still, this is the internet, which will collapse in on itself like a dying star if it isn't fed with petty, Star Wars-related nerd rage at least twice a day. And The Last Jedi was a great movie, so it was okay to ignore these few points that we couldn't quite wrap our heads around. As always, beware of spoilers, and as always, you're welcome. From the start, George Lucas has credited Joseph Campbell's The Hero with a Thousand Faces as his inspiration for the Star Wars mythos. Campbell's book outlined the basic story structure of most heroic journeys in Western culture, and told us why we root for the protagonists. To paraphrase Chumbawumba, they get knocked down, but they get up again, and approach with a juggernaut's tenacity the principle of never being kept down. So if that's what we like in our good guys, why do we keep rooting for the Jedi? Luke tried really hard to become a Jedi, and he succeeded. Then he tried really hard to blow up the Death Star, and he did that, too. Then he tried really hard to teach new Jedi, and it went badly so he threw the board over and quit everything. What's likable about a hero who only keeps trying when he's always winning? 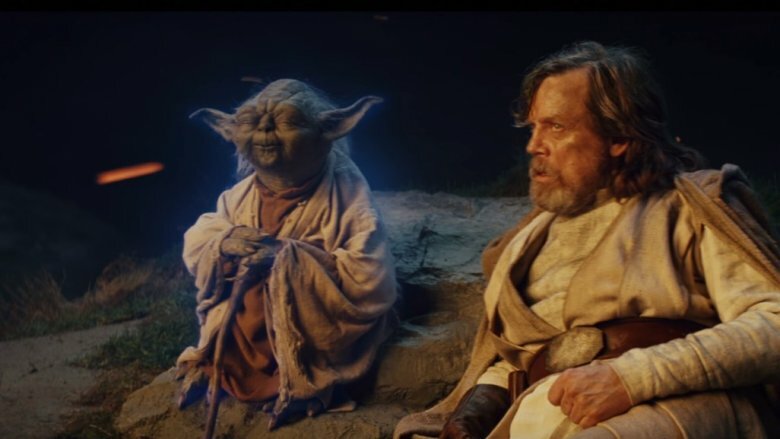 And we've seen this before, when Yoda couldn't beat the Emperor the one time he tried, so he went camping for a couple of decades and sulked. "Do or do not, there is no try" makes for a great inspirational poster, but in practice, it's fatalist and whiny. At best, we're presented here with a Luke who took 40 years to land on the same lifestyle as Benicio del Toro's character: morality is too hard; give up. Kind of makes you regret playing with that action figure when you were a kid, doesn't it? The Force: If it were easy, everybody would be doing it. Nobody'd ever be able to find the droids they were looking for, the Mos Eisley cantina would have padded walls for all the telekinetic bar fights, and Skee-Ball would get infinitely easier. Sadly, that's not the case, and even the most sensitive Force user needs intense training to harness their slick menagerie of space wizard powers. You've gotta have a teacher if you're gonna use the Force. Rey needed Luke. Luke needed Yoda and Obi Wan. Leia needed — well, apparently Leia just needed the right motivation? We get it. We love Carrie Fisher, too. She was amazing. But it seems weird that all it took was a light to mid-sized exploding to suddenly become a vacuum-traversing flesh-based escape pod. 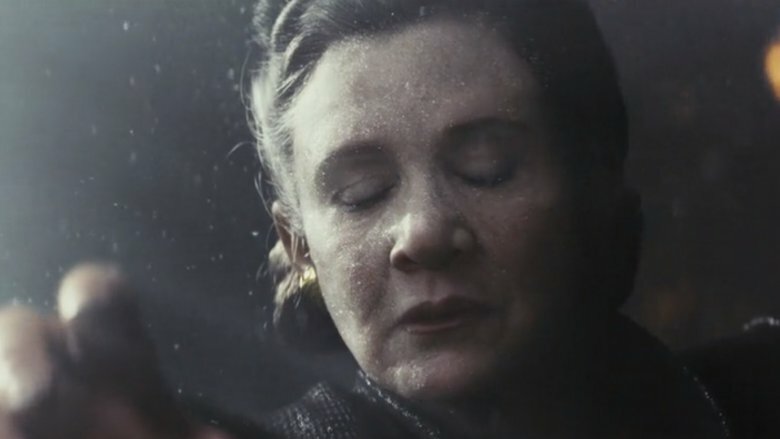 Maybe this was similar to those stories you hear about a panicked parent lifting a flaming car to free their trapped child, but even still, Leia discovered an awful lot of new skills lickety split, especially considering that she was in her 60s at the time and Anakin was "too old" to begin Jedi training at 9. Of the complaints fans had about The Last Jedi, one reigned supreme: that casino planet sequence. People called it out of place, bizarre, and even compared it to the much maligned prequel films. But there was one aspect of this chunk of the film that stands out as especially jarring if you give it a few seconds' consideration. Rose and Finn, looking for a way out of the city, climb onto a pair of … what exactly? Lemur horses? 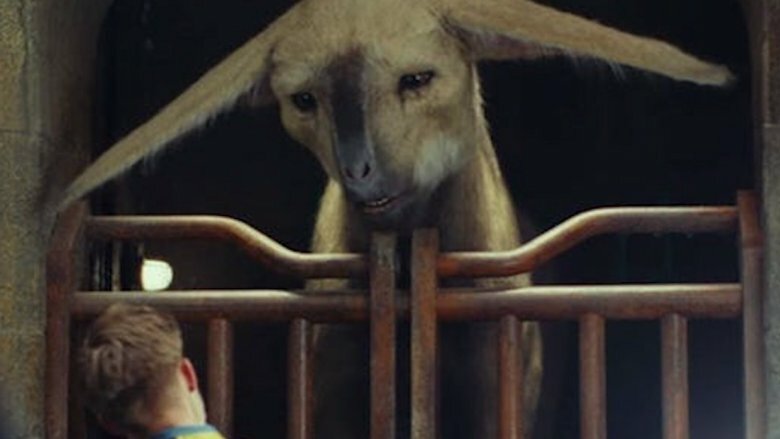 Giraffe rabbits? The Star Wars website says they're called "fathiers," but you should not commit that to memory. The heroes mount up and ride the stilt foxes out of the city, with Rose insisting they free the creatures before they leave. Rose is positively delighted that she and Finn managed to save the big beasts. How did they save them? By taking them 30 seconds outside town. But these are animals that some very wealthy bad guys spent a lot of money training. It'd be like riding Seabiscuit into the parking lot of the race track and shouting "your days of subservience are over, noble beast!" before climbing into your sedan and driving away. If you think there isn't going to be a search party herding those camel cats back home inside of a quarter hour, you're living in a science fantasy world. Everybody loves a good "disguise yourself as the bad guys and infiltrate the base" scene. Robin Williams did it in Hook. Robin Hood did it in all 7,500 Robin Hood movies. Indiana Jones did it so often, it'd be surprising to find out he didn't have a German dry cleaner on retainer. But man, there are times when it just doesn't work. Example: Rose, Finn, BB-8, and Benicio del Toro (because let's face it, he wasn't playing a character — that was him) infiltrate the First Order Star Destroyer. Their first move is to disguise themselves by donning the uniforms of fascist spaceship military officers. Officers whose faces you can see. 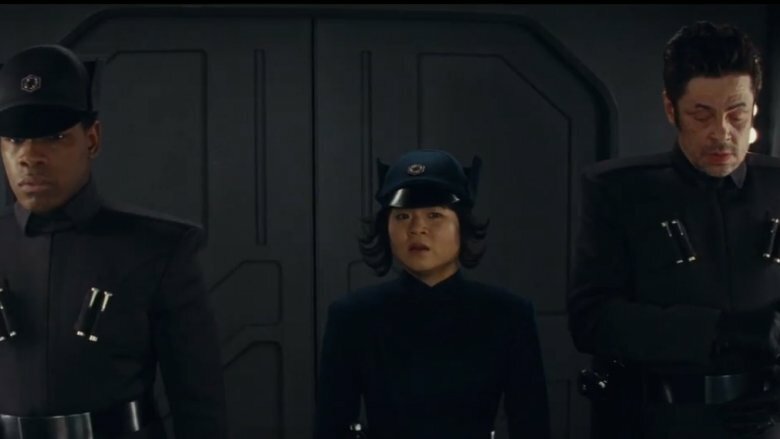 The first racially diverse First Order/Imperial officers we've spotted in this entire series. Oh, and Finn is still the most wanted man in the organization, but he just goes in like a super spy using nothing but a hat as camouflage. Maybe that's why Han and Luke dressed up as Stormtroopers. You know. With helmets. 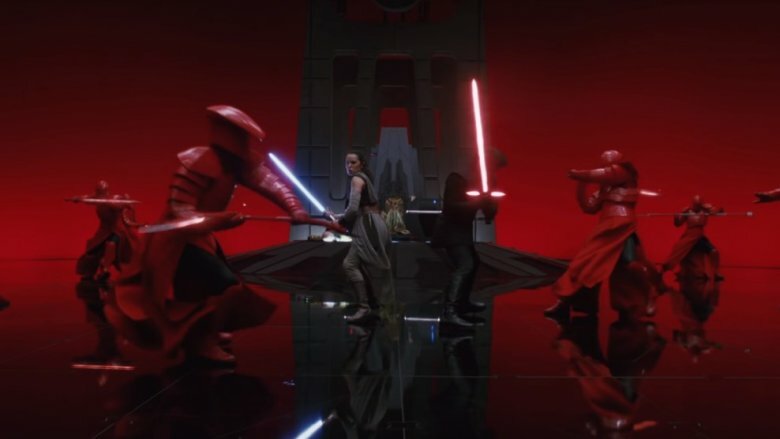 Let's talk about Snoke's bodyguards for a second. Intimidating? You bet. Spooky scary? Sure. Just varied enough that you have to buy your nephew eight action figures instead of just one if you're going to make him happy? Of course! But what's going on with them? First, their whole thing seems to be defending Snoke from people with lightsabers. They have weapons that work against lightsabers. They're apparently trained specifically to jump into action when someone with a lightsaber gets cranky. 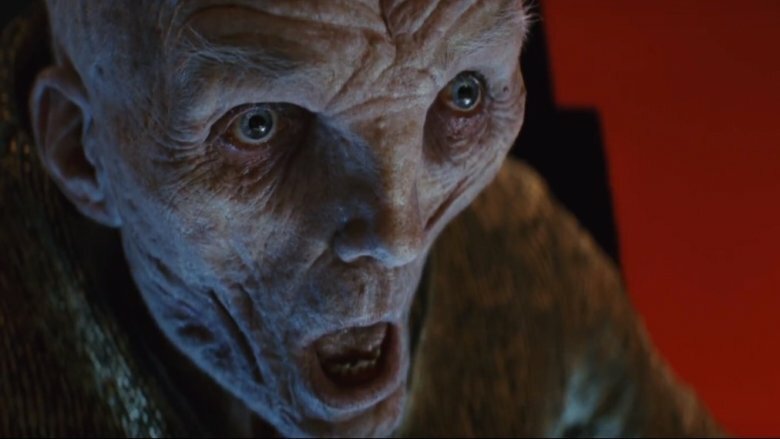 But what's the plan if someone comes at Snoke with, say, a gun? You know, guns? Those things that more than three people in the universe have? There's a pretty severe hole in your defenses if your only guards have to scurry across a ballroom and laser-nunchuck a guy with a pistol. And while we're talking about equipment, what's going on with their armor? It looks like it works great against, well, the electro-plasma weapons the guards are using. One of them even rests their weapon dealie on their arm while looking imposing. But wouldn't that make it good armor against lightsabers, which also use plasma? Apparently not. Outer space is a frozen vacuum. It's one of the many reasons we don't tend to hang out there without an insulated space suit full of delicious, breathable air. Plenty of scientists have spent time explaining exactly what horrors await the human body when it's exposed to the great inky void surrounding our planet. Your lungs rupture, your skin expands, and your tongue might even boil. It's not pretty. Unless you're in Star Wars! If you're in Star Wars, everything's groovy. We see a lot of this in The Last Jedi. 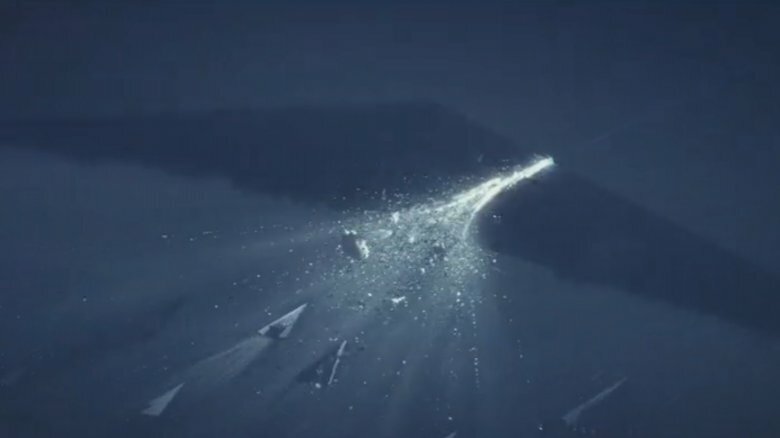 Finn and Rose make it through Holdo's hyperspace suicide run A-OK. Rose's sister seems good as gold when she's lying at the bottom of an open bomb bay. Poe doesn't get Hoovered into space when Leia reenters the ship. This one's a little rough, since she's using the Force and there's no arguing with magic, but Leia exhibits some pretty wild powers after she gets sucked out of the bridge. Ignoring Force Flight, there's Force Regain Consciousness In An Oxygen-Free Environment, and most impressively, Force Not Being Bombarded With Cosmic Radiation And Basically Dying Of The Worst Sunburn In History.